Sebastian Sherbrook, a self-proclaimed scoundrel and the newly minted Marquess of Manwaring, returns to London after his estranged uncle dies, intent on reforming his rakish image once and for all. Yet through no fault of his own, he’s soon embroiled in the biggest scandal of the Season, and his secret plans to court the only woman he’s ever wanted are in shambles. 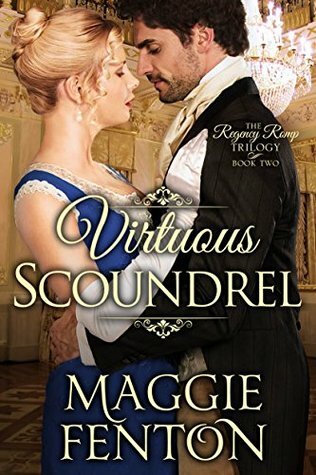 It has been awhile since I have enjoyed a Regency historical romance as much as VIRTUOUS SCOUNDREL. Reading it was pure fun and I think part of what really added to my pleasure in this book was the chapter names. They all give a hint of what is to follow with a tad of deviltry. Here is an example of just what I mean "In Which Bad French Melodrama Rears Its Ugly Head Yet Again, for Which the Author Apologizes in Advance". How can you not love a story that pokes fun at itself? Now mind you, that is not the only thing that endeared this book to me. The characters themselves, both main and secondary, have a lot of depth, there is witty dialogue and the heroine Katherine rescues dogs and pigs. It is also set in a time period that I enjoy with all of the rules of engagement as well as scandals of the day. VIRTUOUS SCOUNDREL is actually the second book of this series and it does a fine job of standing all on its on. I do plan on picking up the first book however because I enjoyed the characters so much and I want to get a more in depth backstory on some of the secondary characters. I do recommend this book to any of my readers who enjoy historical romance with a side of humor. I really think that you will enjoy it. I read this one based on your review and loved it so much I got the first one in the series and loved that one too. Thank you!! Thank you! 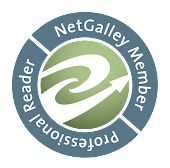 I love it when my readers let me know that a review helps.